Green chemicals and biofuels are projected to become major players in the economy. This is incredibly important as CO2 levels rise and fossil fuel use becomes a liability. 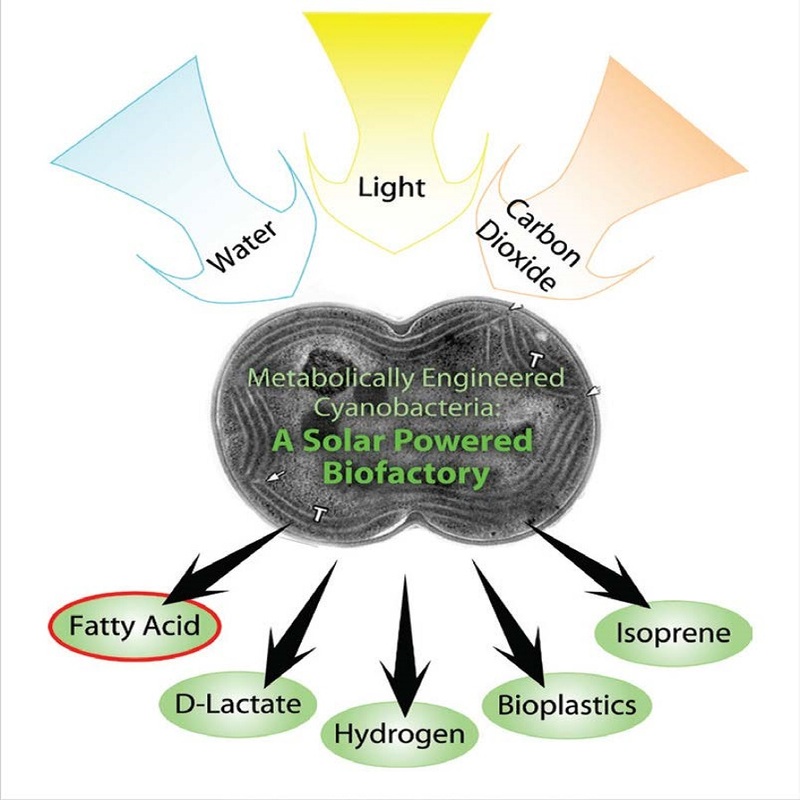 Dr. Willem Vermaas, a senior sustainability scientist, and his team have been researching a novel concept to use photosynthetic microorganisms or cyanobacteria as biocatalysts that use solar energy and carbon dioxide to produce and secrete fatty acids for direct production of biofuels without major production of biomass. As cyanobacteria use sunlight and CO2 to create polymers and fuels, CO2 will be removed from the atmosphere and decrease reliance on fossil fuel use. This process is accomplished through genetic modification, metabolic engineering, and synthetic biology of photosynthetic microbes. Cyanobacteria are grown in transparent enclosures called photo-bioreactors that can be located anywhere there is sunlight. No arable land or major inputs of fertilizer are required for the production of cyanobacteria. This eliminates the competition with food crops for arable land and the negative effects on Earth's soil. In addition, cyanobacteria can grow rapidly, are easy to genetically manipulate, can grow in diverse environmental conditions, and demand minimal water use. The efficiency, cost, and scaling potential of engineered photosynthetic microbes provide a significant opportunity for future global impact.